SINGAPORE - Popular coffee chain Costa Coffee will close all of its outlets in Singapore by Sept 16. Six of its eight outlets have already closed over the past three and a half months, with the chain stating that it will close its final two stores - in Holland Village and VivoCity - on Sept 7 and Sept 16 respectively. 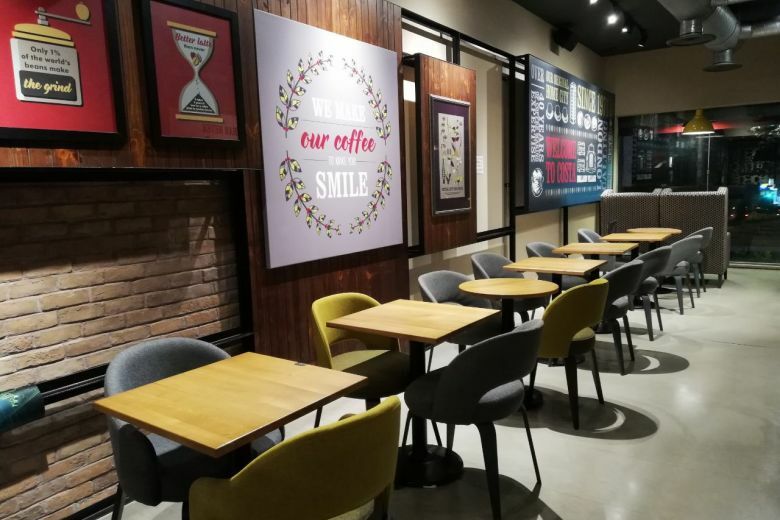 Despite this announcement, Costa Coffee said that it is "committed to remaining within the South-east Asia region" and has plans to grow its brand, with a focus on growing its franchise business. The spokesman added that Costa Coffee had been "extremely proactive in supporting (their) employees throughout this period". In April 2018, Whitbread, the British hospitality company that owned Costa Coffee, said it would spin off Costa Coffee as an independent, publicly-traded company and turn its focus to its Premier Inn hotel operations under pressure from activist investors. On Sept 1, however, Whitbread agreed to sell Costa Coffee to Coca Cola for £3.9 billion (S$6.94 billion). 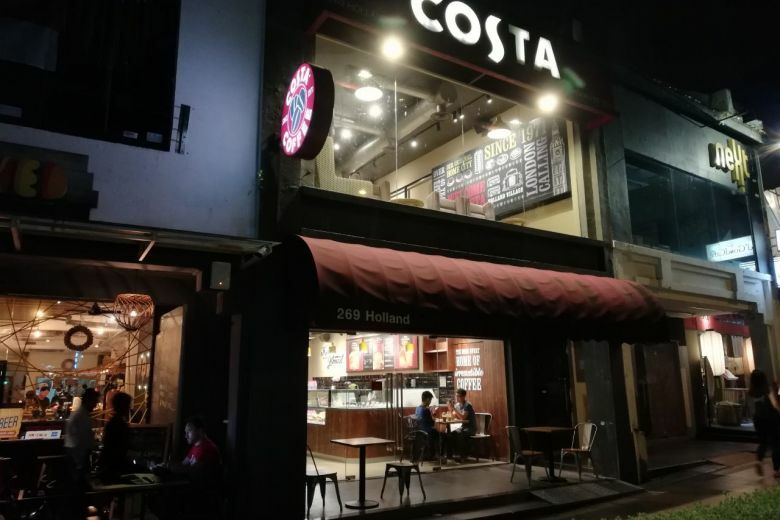 When The Straits Times visited Costa Coffee's Holland Village outlet on Thursday night, the two-storey cafe was quite empty, with only a few customers drinking coffee or studying. Mr Shafie, the 28-year-old manager of the outlet, said that the small numbers were normal for a Thursday night, and that he did not think they were related to the news about the outlet's closure. The Malaysian, who goes by one name, told ST he had known about the impending closure since March this year, when it was announced at a meeting at the Holland Village outlet. "I was a bit shocked," he said. He added that in order to prepare its employees for the eventual closure of all its branches in Singapore, Costa Coffee had sent all its staff for training in areas such as resume writing, and interview skills. Mr Shafie had formerly been a manager at the Costa Coffee outlet in Changi Airport, and was transferred to the Holland Village branch around six months ago, after his former outlet closed down. Though he had not been at the Holland Village branch for long, Mr Shafie said he was familiar with the customers who visited the branch regularly. He also said he would miss his team of workers when the branch closes down. Mr Tan Jia Ching, who was there drinking coffee with his friend, said he came to the Holland Village branch because he had heard the news that it would be closing down. The 25-year-old engineer, who is a regular coffee drinker and had tried Costa Coffee in China and Malaysia, said he felt sad about the closure as it would mean a reduction in the variety of coffee brands available in Singapore. Another customer, who gave his name as Mr Mohamad, said he and his family have been visiting the Holland Village outlet at least two or three times a week for about a year. The teacher, who is in his late 30s, said he had drunk Costa Coffee many times while visiting family in Britain. "Costa is one of the better coffee chains," he said, adding that he was sad to hear about the closure. "A lot of good stuff is closing down." Mr Mohamad said that he would probably visit Coffee Bean and Tea Leaf instead after the Holland Village outlet closes.